For my little man's 6th birthday, he picked out a Rolo Cake. I showed him the cupcakes I had on my cupcake board and asked him which ones he wanted me to bring to his Kindergarten class and he went with the matching Rolo Cupcakes. The cake recipe reminds me of the Best Chocolate Cake Ever - which is the best chocolate cake ever. Plus it has a Rolo baked INTO the cupcake and a decadent, rich caramel buttercream frosting. Burritos, in my opinion, are pretty awesome. My favorite thing about them is stuffing them with a billion different ingredients. I personally had never though to add fresh cilantro to it, but it was a welcome change! I really liked the tri tip as well. Watching Diners, Drive-ins, and Dives always makes me so hungry. It makes me sad when the food I see is a top secret recipe that I'll probably never taste unless I go on a food road trip. I saw a recipe for Texas Chicken Hash and was so stoked. Then I realized the recipe on the site could feed a small army and that was a "Woah! I'm probably not going to make this!" reaction out of me. Then I decided to try and modify as much as possible and I had steak instead of chicken. It ended up being one of the very best meals I've ever had. There was a lot going on and it did dirty a ton of dishes, but it was definitely worth it. Also worth a mention - I feel like this would be perfect hangover food...just for reference! But it's definitely a BIG hit in my house. These four spices work together perfectly and are awesome! I used what I had leftover from using it on the tatertots on practically everything. I couldn't help it. It doesn't get much better than this little dish. I wasn't expecting anything special from it and I absolutely inhaled it! I threw it altogether and baked it for 5 minutes instead of broiling. I covered it up with foil and ran it out to my husband who was supervising extra duty at work. It ended up feeding him, myself, Matt, Cami, and at least 7 soldiers. Everyone loved it! For five ingredients, this dish seriously blew me away! This is a great shortcut for traditional navy bean and ham bone soup when you have a craving. I personally am still waiting my mom's recipe out and hope to try making it soon. One of my favorite things in the whole wide world is to make someone a treat that I know they'll love. One of our good friends had a birthday and he loves brownies. Usually he gets a brownie for his birthday "cake", but this year, I wanted to try and combine the two. This was the perfect dessert for that. The brownie is baked into the cupcake and makes a muffin top, but with brownie. *drool* And the frosting is to die for! 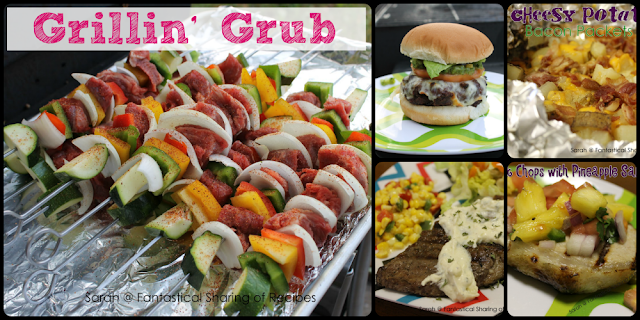 Grilling season is upon us and that makes me so very excited - except for the whole having to get more propane. Did I mention that I have this weird fear of it blowing up in my car? I practically buckle that baby in and cover it in bubble wrap! Okay, well, maybe I just put it in my floor board cushioned with towels, but still! EESH! 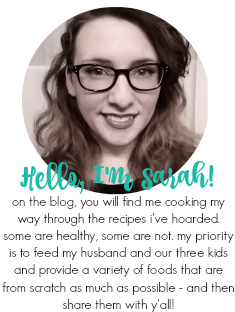 I am participating in an online bake sale hosted by Carrie of Frugal Foodie Mama and wanted to repost her information about it. She covers everything about the bake sale and tells her story about her friend Kate and Kate's battle with breast cancer. I really hope y'all check it out and help support Kate and her family! Disclaimer: I received an e-galley copy of this cookbook from NetGalley and Storey Publishing for my honest opinion. My Thoughts: When I saw this cookbook on NetGalley, I immediately applied to receive it. If y'all recall, I did a beer/homebrewing week on Fantastical in March! My husband has spent the better part of the last year homebrewing as a hobby and I've been along for the ride learning from osmosis. Since he is deployed, a huge goal for me is to brew a successful batch myself. This cookbook was full of so much insanely interesting stuff about brewing and brews. The format itself is absolutely amazing - each page has something to learn, create, or drool over, not to mention a little bit of information on different bars, pubs, and dives all over the United States. 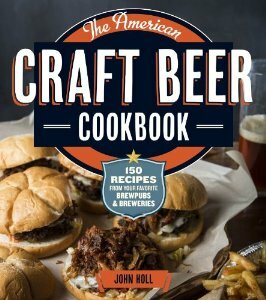 As a newly-converted homebrewing enthusiast, this cookbook honestly captured all of my attention and I wanted to make everything. One of my favorite features of the book is that the recipes with beer in them suggest a list of beers to use in the recipe. I have to admit - my brain is a bit foggy when it comes to words like lager and ale - so having a list of beers that I can use not only tells me exactly what I need to know, but also gives me options for taste preference! I made three recipes out of the book, although I made plans for 8 recipes - but preparing for a deployment had me crunching some nights and not really getting free time on the weekends for stuff like the Beermosas [not going to risk drinking and then getting in my car for errands] or the Bavarian Cheese Spread. But what I did make...was the best! I got my husband hooked on gouda cheese in 2012 and anytime I mention gouda is going into a recipe, he flips his lid. He goes nuts! When I said we were having fondue, he got even more excited. Then when I told him I had picked crusty French bread, carrots, and Granny Smith apples for dipping. The kids thought this snack was the coolest thing ever! Now I need to invest in a fondue warmer to make it more often. I have always wanted to try risotto, both eating-wise and also cooking it. It was definitely on my mental cooking bucket list. We discovered a Williams-Sonoma in the mall back home in April and they were cooking a Parm-Regg risotto for taste-testing. It was one of the best things I have ever eaten - although I'm sure I say that about a lot of things. When I found out that this cookbook had a risotto recipe, I decided to just go for it. It was such a great decision on my part. You have to babysit risotto, but it turned out just fine and it was super tasty. I loved the asparagus in it! 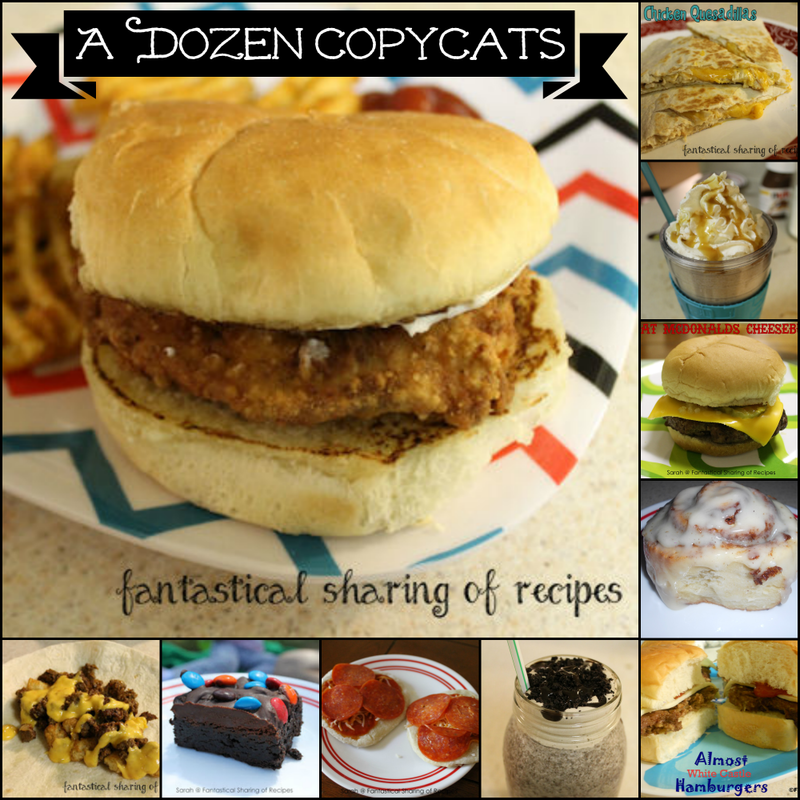 This is easily my favorite recipe tried out of the cookbook. The bombalicious alfredo sauce is on the bottom and then it's topped with some ever-wonderful pasta and then comes the best part: the roasted bell pepper & tomato pureed sauce + some garlicky sauteed cherry tomatoes! I added tuna into the dish for a source of protein and also because my husband will whine if there's no meat. I ate seconds. The kids loved it and Nick loved it and we will definitely have this regularly. I already have it preordered from Amazon and cannot wait to try the rest of the recipes and read more in depth about all the pubs, bars, and breweries. If you are a craft beer fan, definitely preorder yourself a copy - you will not be disappointed.